The Throats (Mike O'Shaughnessy) have recorded a bunch of cover songs throughout his career. Borrower Deluxe collects these recordings from 1995-2005 (the title is an expanded version of the 1999 ep Borrower). 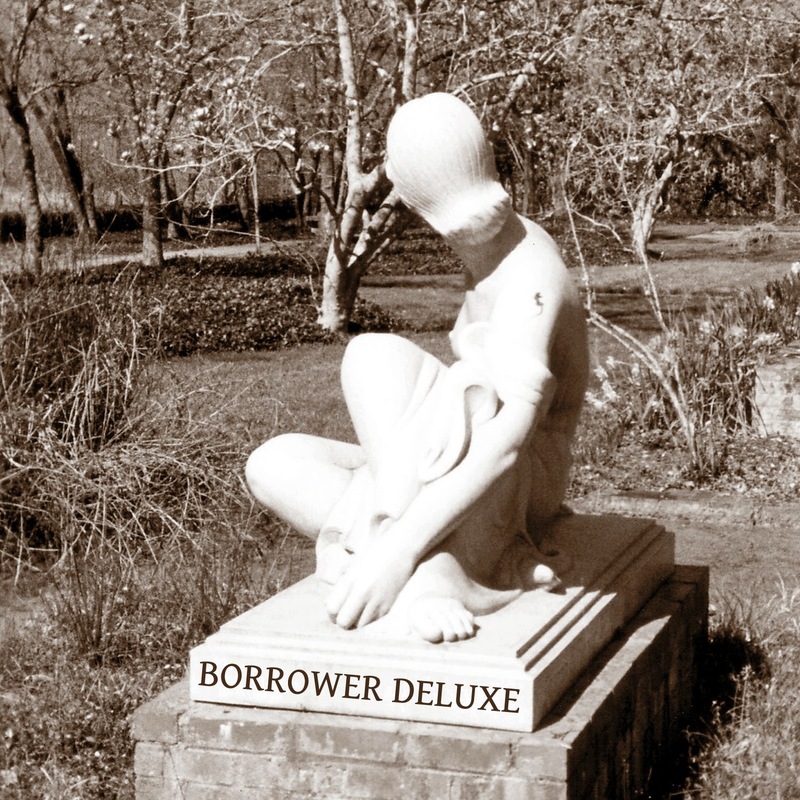 Completely self-indulgent (and often flat) without an audience in mind, Borrower Deluxe will occasionally interest but often bore the listener ("Song from M*A*S*H" immediately comes to mind). But if Rod Stewart and Elvis Costello can do it, why not the Throats? Performed and recorded by the Throats (guitars, bass, percussion, keyboards, computer noises, etc.) in bedrooms, living rooms, basements and one bathroom in North Carolina, New York and Oregon. Below is the list of songs followed by the artists who popularized them. Down the zipped album here for free. Copyright 2018 Sleeping Brothers Records. Picture Window theme. Powered by Blogger.